J. Russell Hawkins and Phillip Luke Sinitiere eds. 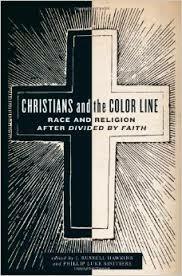 Christians and the Color Line: Race and Religion After Divided By Faith. Oxford: Oxford University Press, 2014. 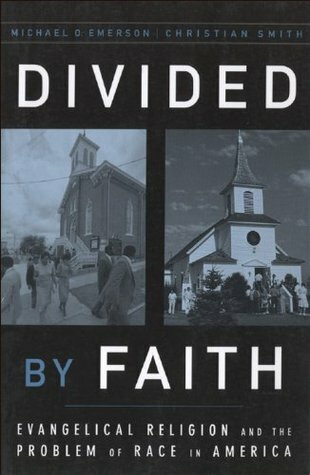 When sociologists Michael O. Emerson and Christian Smith published Divided by Faith: Evangelical Religion and the Problem of Race in America in 2000, it hit thinking evangelicals like a bombshell and spawned a wide ranging discussion about the problem of racism in our churches. Emerson and Smith argued that evangelical churches were contributing to the problem of racism in America because they focus on personal piety, individual conversions, and individual accountability instead of on structural social issues. Their historical survey showed that American churches have segregated blacks and whites for the last two centuries, and their sociological research confronts us with the fact that little has changed. Most striking was survey data they obtained through 2,000 telephone surveys and another 200 face-to-face interviews. To quote the summary provided in Christians and the Color Line (2014): “They discovered that on issues of race in the United States, the majority of white evangelicals hold some combination of three predominate views: (i) racial problems are the result of sinful individuals who harbor personal prejudices; (ii) the cause of racial tensions can be traced back to racial groups such as African Americans attempting to make isolated incidents of prejudice between individuals into broader group issues; and (iii) the problem of race in America is simply nonexistent and is a “fabrication” put forward by minority groups, liberals, the media, or the government.” White evangelicals are, to put it simply, color-blind. They don’t see that some people suffer just because of the color of their skin. No-one ever commented on their whiteness and they are never singled out for praise or condemnation because of their skin-color, so they assume that others are the same. They also don’t have much respect for African Americans. Using data from the 1996 General Social Survey, Emerson and Smith found that evangelicals are more likely than other white people to assume that if African Americans are poor it is because they are lazy, and not because of discrimination or a lack of access to good education. Emerson and Smith were writing at the end of the twentieth century. Are their findings still valid today? A decade later, a group of evangelical scholars gathered at Indiana Wesleyan University for a conference aimed at reassessing Emerson and Smith’s conclusions. Christians and the Color Line (2014) is the result of that conference. Of the fourteen contributors, ten look white, two Asian, and two black. The skin color of the authors matters because even though their scholarship is empirically faultless and methodologically rigorous, many of these essays are theoretically flawed simply because they don’t take white privilege and structural racism seriously. A surprising number of the essays appear to suggest that it is enough to have good intentions, to try and form integrated churches, and to basically be nice to African Americans. 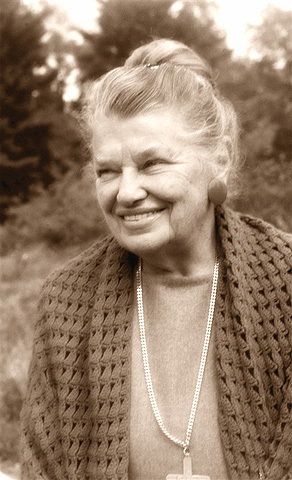 Whereas Emerson and Smith painted a pretty dark picture of evangelical race relations in the twentieth century, Miles S. Mullin, Karen Joy Johnson, Brantley W. Gasaway, and Tobin Miller Shearer all find examples of times when leading evangelicals and Catholics have thought about and campaigned for structural changes in American society. 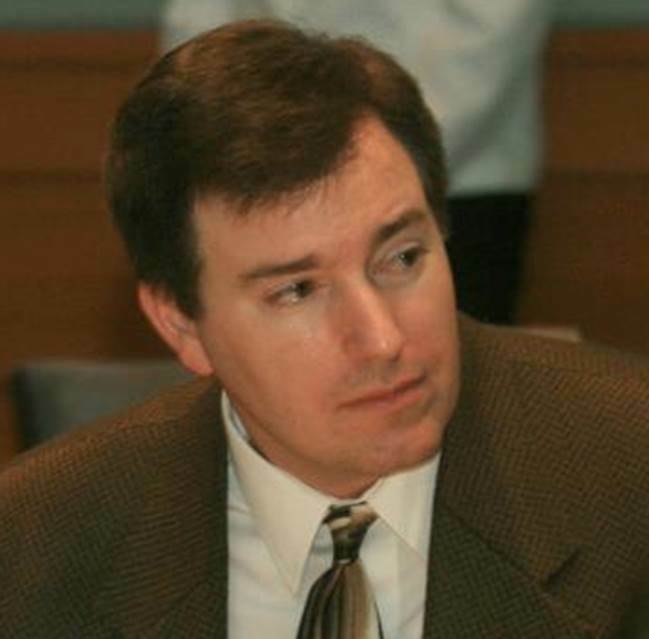 Mullin’s approach is the most sophisticated of the four, and he argues that “during the 1940s and 1950s, American evangelicalism was undergoing a transition from an older, culturally isolated fundamentalism too a more socially engaged evangelicalism.” This trend did not last, however. Mullin writes that “a moderate, individualistic approach” took over and dominated evangelicalism for the rest of the decade. These scholars claim to be adding nuance to Emerson and Smith’s story, but it feels like they are just looking for exceptions that can help evangelicals feel good about themselves. For his part, Shearer argues that Emerson and Smith were “too quickly dismiss the potential of relationships to transgress oppressive racial norms.” Both Shearer and Johnson tell the story of communities that struggled for decades to integrate themselves and were not always successful. They did try, however, and in the process they learned valuable lessons about white privilege that they could not have found in academic treatises on racism. How much of a difference does being nice to others really make? 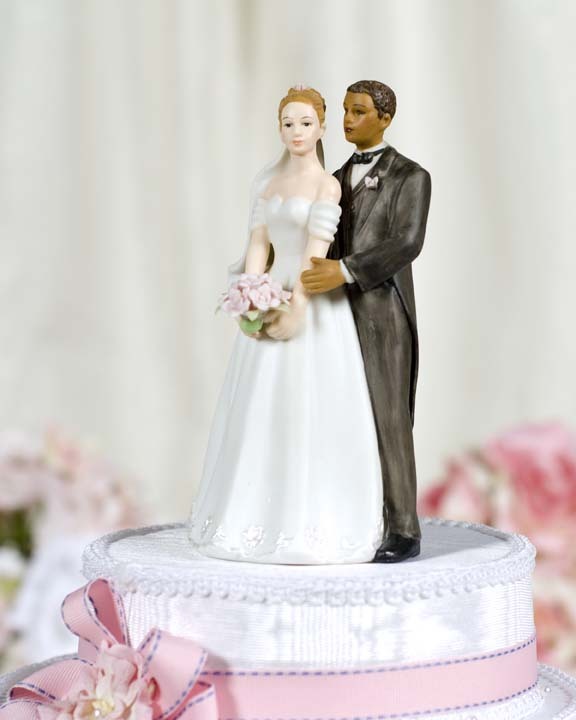 Well, Edward J. Blum argues, when you have whites and blacks worshiping together eventually two of them will want to marry one another, forming a multiracial family. Because of their ability to integrate into a variety of communities and the fact that they have to deal with the structural implications of racism, Blum suggests, multiracial families might just be the solution to America’s race problem. Korie L. Edwards is not so sure. “Building cross-racial relationships might reduce racial misunderstandings and prejudice,” she writes, “yet symbolism, evangelism, and interracial relationships are not what changed our country. None of the major changes to the racialized social structure resulted from multiracial worship.” Multiracial churches cannot be an end in themselves, Edwards argues, because they are too inward focused. They need to be crucibles for bigger, outward-looking social movements that can change the discrepancies in education, employment, and access to services that significantly disadvantage people in this country. 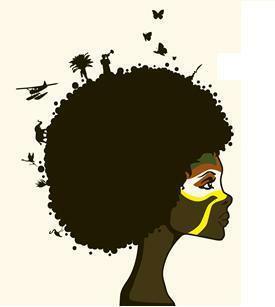 And that, my friends, is what embracing blackness looks like. Deeply appreciated your review of the text, your willingness, and your transparenc about the struggle to implement blackness as a mode of solidarity with the most vulnerable and least heard. I applaud you and your family undertaking the quest to participate in Neighbor Love and Richer Community.